The twenties don’t so much roar as whimper in SDWC’s new revival of Thoroughly Modern Millie at the Landor. Matthew Iliffe’s production strips back not only the set and cast, but also the life and soul of the show, leaving us with a raw and undercooked slog of questionable casting and dull direction. For those unfamiliar, Thoroughly Modern Millie transports the audience back to 1922 New York and follows the travails of a new arrival in the big city; Millie Dillmount. She is desperate to find a more metropolitan lifestyle after her Kansas upbringing and reinvent herself as the epitome of Vogue’s ‘modern woman’. Ostensibly the show is an uproarious farce that barrels through prohibition, celebrity parties and solicitous romance with all the subtlety of a travelling fair. It has the potential to be great fun, but Iliffe’s production never seems to capture the garish excess that cements the show. His pared down cast of 12 reduces the enormity of New York life to a small village community and Andrew Riley’s set is bare to the point of feeling naked. For a show like ‘Millie’, New York is as much a character as anybody on stage and her bustling crowds and grand sense of scale just felt lost in the intimate Landor space. Sam Spencer-Lane does her best to inject the choreography with some Broadway punch, but again the sequences are at odds with their surroundings. Numbers feel hampered by the limited space, looking to explode into life with no room to grow. That a dancer crashed into some lights on the night I watched was no coincidence. The cast also seemed to struggle with this tonal imbalance, unsure as to whether to play the show as writ, or try and adapt the uproarious dialogue for the chamber space. For most, it left them in an unflattering middle ground, precariously teetering between mugging for laughs and striving for sincerity. There were also some distracting casting decisions, with young graduate actors being unfairly asked to play far older than they are and jokes about characters’ ages therefore falling flat. More disconcerting than this though, was the decision to cast a Caucasian actor, Alex Codd, as Ching Ho, one of the Chinese henchmen. That Mrs Meers’ offensive Asian caricature is only acceptable at all is because we are supposed to laugh at the absurdity of a Caucasian female trying to pass herself off as another race. 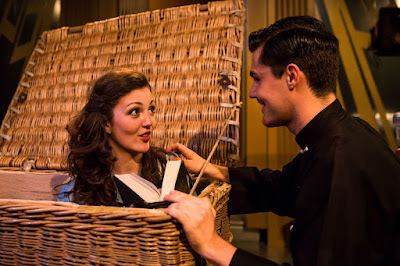 With Codd in earnest trying desperately to do the thing we are meant to be laughing at, Steph Parry’s performance as Mrs Meers becomes completely undermined. The entire villainous subplot becomes tremendously uncomfortable, laced as it was with an air of racial insensitivity. On the positive side, Sarah-Marie Maxwell is the undeniable standout, giving a charming and incredibly watchable performance as Miss Dorothy. She is a joy every time she comes on stage and injects her scenes with just the right amount of detail and energy. Her voice is also beautiful, packing real power even without a microphone and giving a lilting edge to the higher parts of the score. The singing in general is of a high quality and Chris Guard’s small band does well to maintain the score’s brassy 20s roots even with only five members. Thoroughly Modern Millie inherently seems like a bizarre choice for a fringe revival. It just isn’t that kind of show. 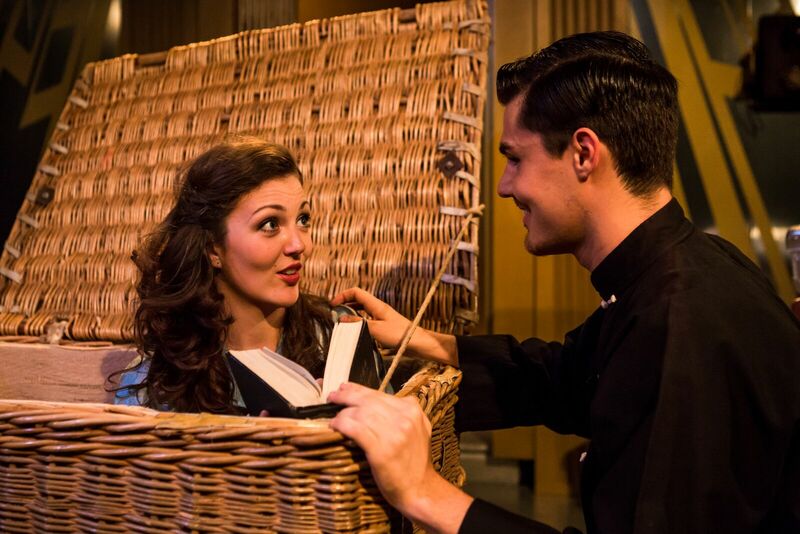 Iliffe has done his best to downsize the glitz and glamour, but his endeavours lack the creativity to allow the audience to get lost in Millie’s world. Unfortunately, without stellar performances and an exciting design, these flappers are a bit of a flop.